Lay the foundation for healthy, permanent teeth! Use Tooth Tissues from birth to promote health habits that will last a lifetime. 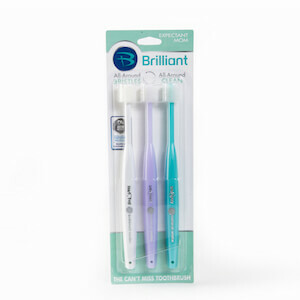 The journey to healthy oral hygiene begins at birth. As adults, we take the time to regularly brush and floss. We have to teach our children these same wonderful habits from the very beginning. Tooth Tissues® dental wipes is the first “buddy,” or Stage One, in our Baby Buddy Oral Care Program. Tooth Tissues® are oral wipes that help parents start on the path of a life of healthy smiles. Parents can easily cleanse baby's mouth after feeding, whether milk or formula, wiping their precious baby’s gums or toddler’s smiles. Tooth Tissues® are bamboo* wipes that are bubble-gum flavored and fluoride and paraben free! Invented by Family Dentists with a proprietary blend of xylitol and hydrated silica, Tooth Tissues® are carefully made with babies and toddlers in mind. Each open-and-close pouch contains 30 wipes. 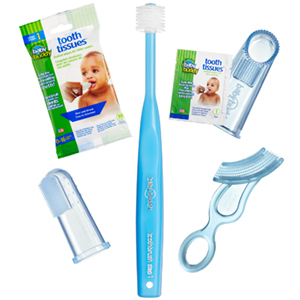 Tooth Tissues® are intended for children age 0-16 months. When back molars come in (around 16 months), parents should transition to brushing teeth with a toothbrush. 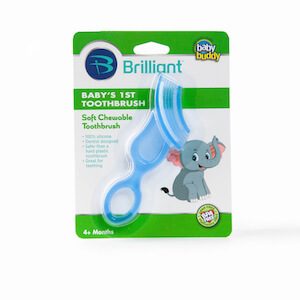 As an added plus, parents can take the “bite” out of teething by using the Tooth Tissues® with our Baby Buddy Wipe-N-Brush. Together, parents can clean and soothe precious gums. As a bonus tip, chill Tooth Tissues® in your fridge or freezer to help soothe tender gums during teething. Your baby will thank you for this first buddy! Natural, disposable textured dental wipes for Baby and Toddler Teeth and Gums. By the way, join the many adults that use Tooth Tissues® every day when they are on the go, after lunch, or out late for an event.